So I believe I promised you a little tour of one of my new favourite spaces. 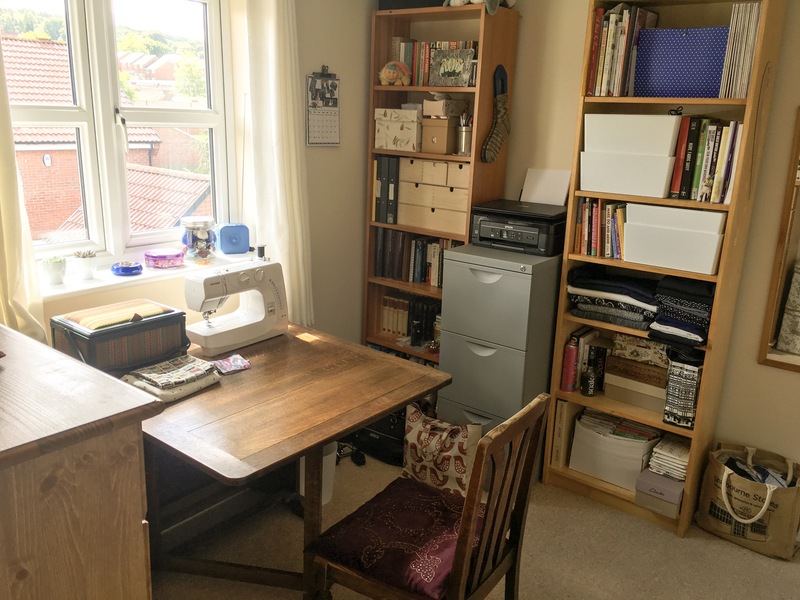 My new and shiny sewing room!! 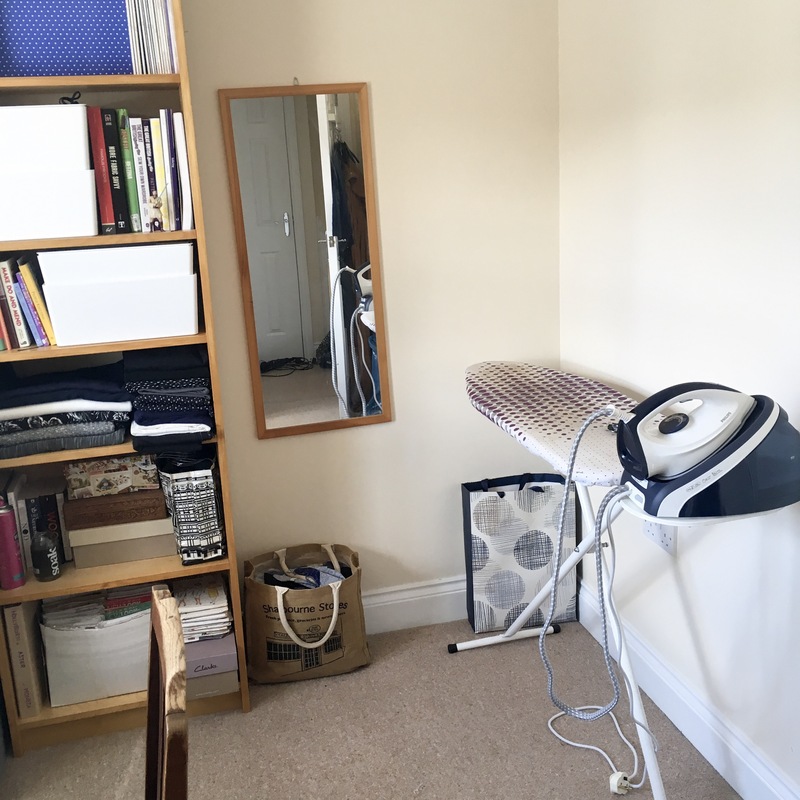 Disclaimer… the sewing room also doubles as my office for work purposes and the general ironing room. This means I can often walk into the room and find my dear partners work shirts, or random coat hangers lying around. But this is fine, because he did buy me the awesome new iron!! So back to the room… drum roll please…………….. The table that I use (and strategically planted slap bang in front of the window) is a drop leaf dining table that my Grandad actually made. It’s one of my precious things. And it makes a perfect cutting table as there is only one side of it open in the picture. 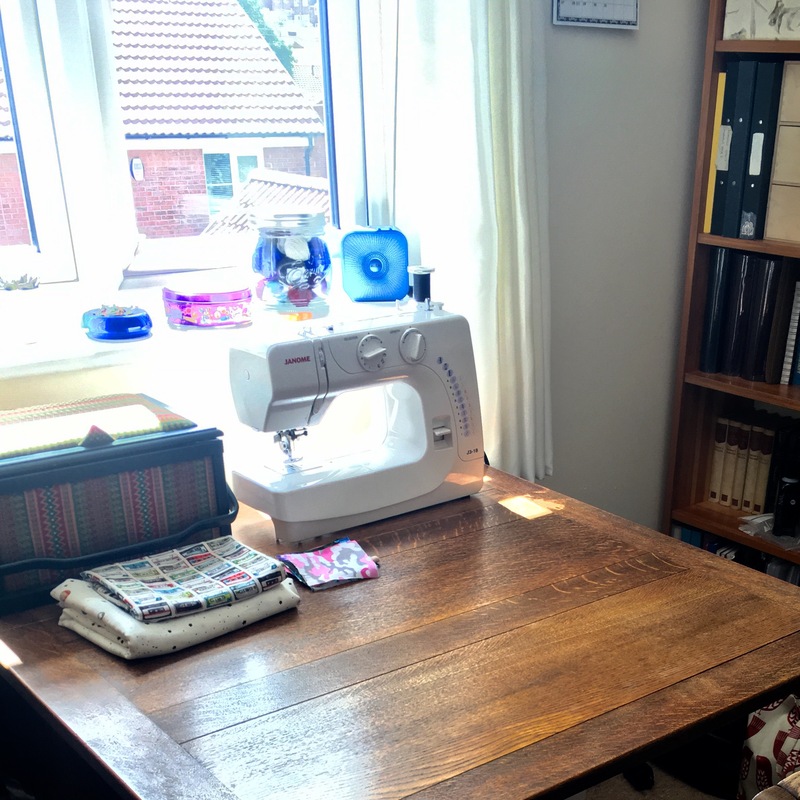 All I need to do is move the sewing machine and sewing box… pull out the table to the middle of the room… and hey presto! Giant cutting table (with protective card cutting board of course!!). Grandad also made the chairs… only one of which is in the room. Another lives in the dining room in case of extra seating requirements, the other two are stored in the garage. 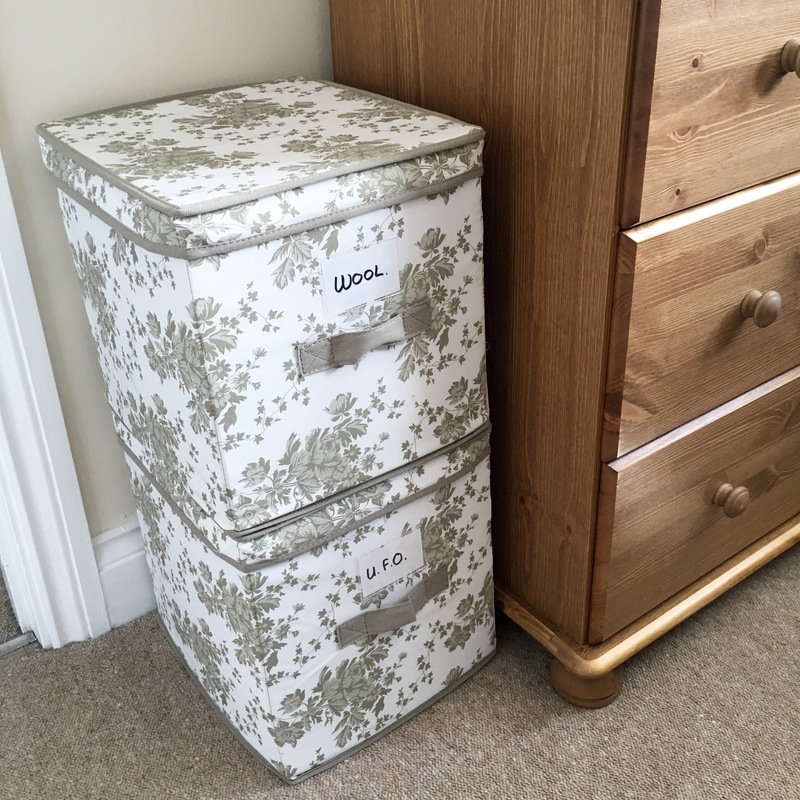 The storage I have for all of my bits and pieces is just brilliant! 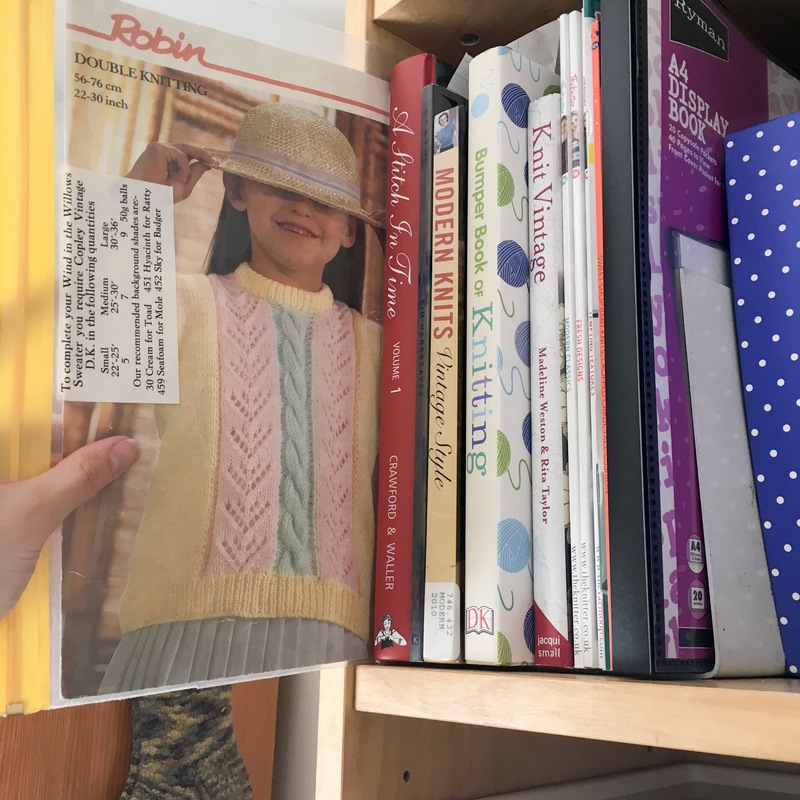 Most of my patterns can be seen in a computer paper box at the bottom of the bookcase (hey, I spared no expense), the PDFs are all in that spotty file organiser in the top. Mum found me that, it’s brilliant for those Wiley PDFs. I may have mentioned the awesome iron. Yeah this beast can get get a crease into anything. And it really makes a difference having the ironing board set up right next to the machine. Also pictured… Large mirror for fitting purposes. 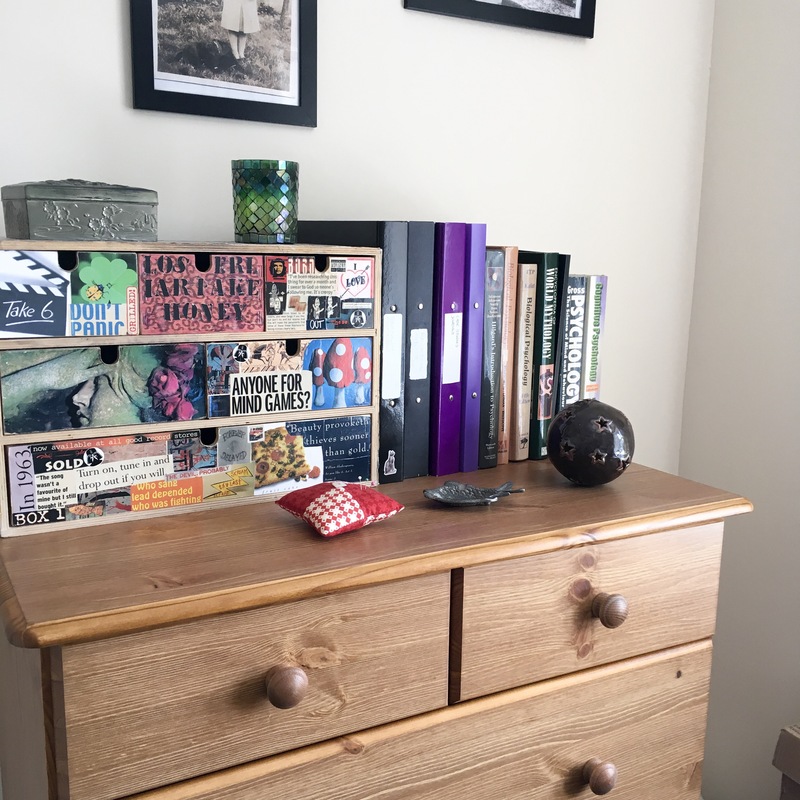 I’ve also filled the room with things that make me happy, alongside sewing stuff. That weird yellow thing on the shelf is a ‘Brush ‘a’ Love’ called Pepe II. I used to have that exact toy when I was a kid, but got rid of it as it was just old and scratty when I was about 18. I told him this story and my lovely partner bought me a replica the Christmas before last, so while Pepe is probably in a tip somewhere… Pepe II sits watching me sew… alongside Floppy Dog (yes… real name), who is still an original kids toy. It’s nice having different parts of me merged into one room… I’m sure there’s a metaphor in there somewhere. With a small part (seriously, like a fraction!) of my stash there too. 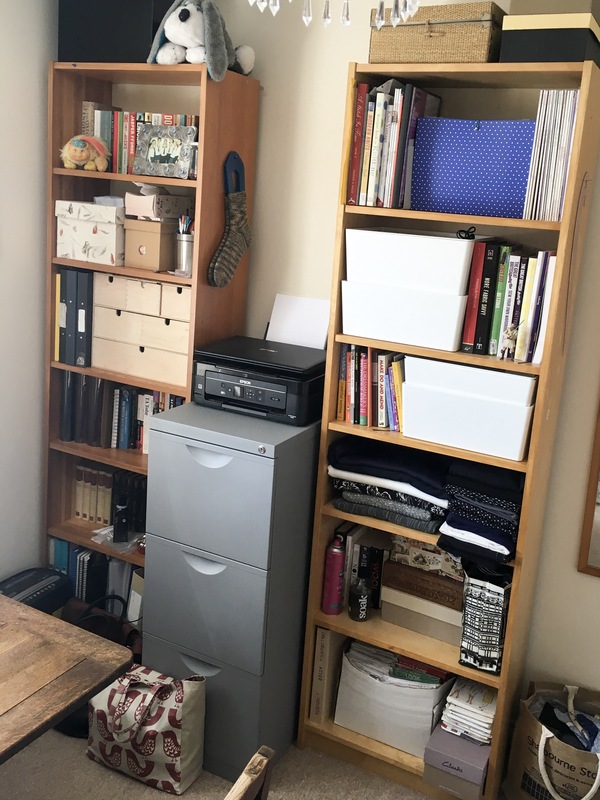 The rest is in some giant Ikea storage boxes to the left of my table… I’m not showing you that for shame reasons… I’ve seriously got a problem!! 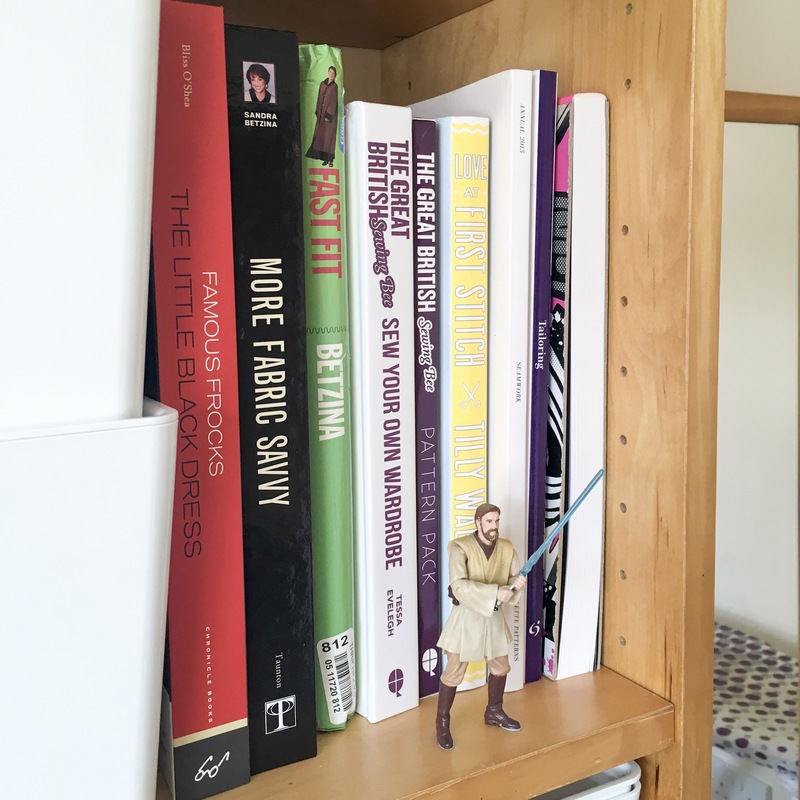 So I have myself a little library of reference books now… oh and this! This pattern was knitted by my great Aunty Kit for all of the cousins when we were but wee tikes. We found it when my Mum was clearing stuff out of her house, I don’t know if I’ll ever use it again, but I can’t bear to let go of it!! 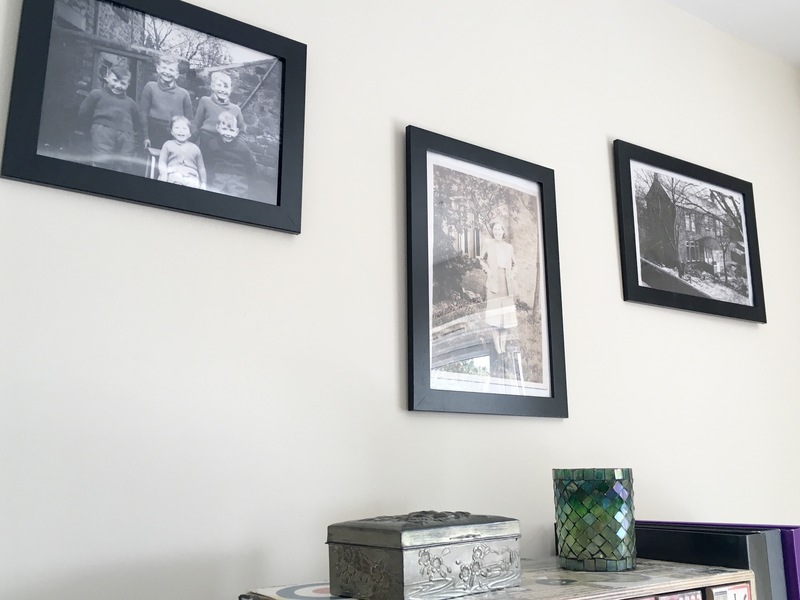 These are pictures of my family, taken in the house my Grandparents lived in, and also a picture of the house itself. I really love these old photos, even if they are just printouts of the originals. On the top left, in the middle of the picture is my Mum (he he he). I also have a picture of my Grandad with aunty Kit and aunty Agnes… both of whom are actually great aunts. I really want to add photos of the other side of my family too… to complete the collection. 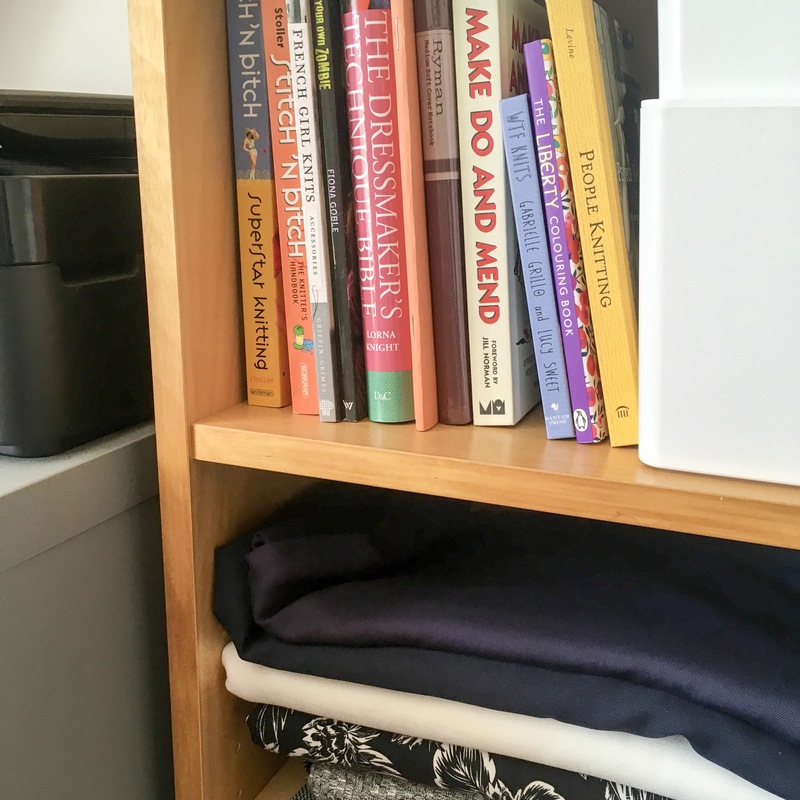 I feel like I’ve talked more about the bits and pieces in the room rather than the sewing-ness of the room. But I really believe that having a good space is needed to be creative. And I can see me wanting to spend many many days in here making away. I know what you’re wondering too… do you even have a wool stash?! Well yes I do! So all of my tools now have a home… and as you can see, more fabric keeps arriving. If you’re wondering where to find me on Saturday mornings… I’m probably going to be here!! Thanks for holding out to the end of this massive post… I apologise for any smugness. Next Post How many socks are too many?